Fire Safety Rocks: We've Added More Dates! Our Fire Safety Dog Skype program has been so incredibly popular since school started, that we decided to open up some more dates and times! Until now, we have been booked until February, so get those requests in soon to secure your spot! Dates and times are filled once an application is received, on a first come, first serve basis. These dates are going to fly, so book your Skype visit today! It's FREE! Please visit HERE to learn more about Skyping with the Fire Safety Dogs and to fill out an application. 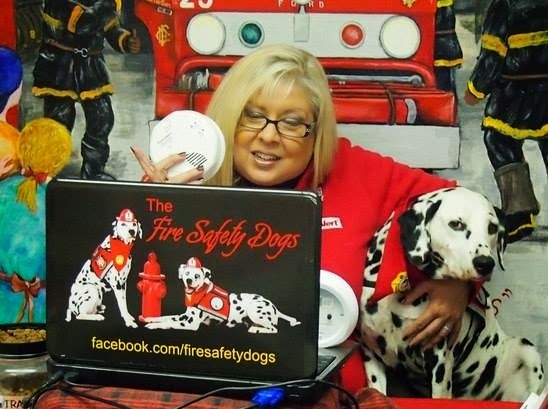 Fire Safety Dogs' Skype program brought to you by the Keep Kids Fire Safe™ Foundation, Skype in the classroom﻿, First Alert﻿ and State Farm﻿.